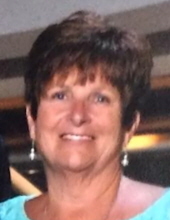 Deborah Lynn Barton, 64, of Chatham, Va., passed away on Sunday, December 2, 2018, at UNC Medical Center, Chapel Hill, N.C. She was born January 27, 1954, in Jackson, Michigan, to Burdene Hynes and the late Duane Hynes. Deb deeply loved her family and she graciously invested her time and energy into the lives of her family and her community. She formed countless special friendships throughout her many years as an active member of the Chatham High School Booster Club. Deb is survived by her husband, Dale Barton of the residence; her daughters, Daleen Lewis (Nat) of Dry Fork, Va., and DeAnna Cornell (Todd) of Chatham, Va.; her brother, Mike Hynes (Kim) of Jackson, Michigan; her brother-in-law, Mike Barton (Liz) of Jackson, Michigan; her sister-in-law, Melody Rader (Lyle) of Mooresville, North Carolina; her mother and father-in-law, Nellie and George Barton of Danville, Va; and her many nieces and nephews. She is further survived by her grandchildren, Kimoni, Kaden (Madison), Kamden, and Kennen Lewis; Andyn and Zander Cornell; as well as her great-granddaughter, McKinley Lewis. Deb had a special bond with each of her grandchildren and was a steadfast and integral part of their lives and extracurricular activities. She could be found at most events involving any of her grandchildren, whether that was on a football or baseball field, near a wrestling mat, or at a dance competition. She was very proud of each one of them and extended her love to many of the youth in the community. She was affectionately known as "Nana" by so many who loved her. Deb’s family has chosen to honor her by opening the doors of her home at 3500 Spring Garden Road, Chatham, Va., on Thursday, December 6, 2018, between the hours of 5:00-8:00 pm. They welcome their friends and family to this celebration of her life. In lieu of flowers, donations can be made to Chatham High School Booster Club, 100 Cavalier Circle, Chatham, Va. 24531. "Beautiful is the woman who knows people, places and things don't define her. She is defined by her acts of loving kindness and a generous heart." Norris Funeral Services, Inc. & Crematory, Mt. Hermon Chapel, 3995 Franklin Tpke., Danville, Va. is respectfully serving the Barton family. Online condolences may be made at www.norrisfuneral.com. To send flowers or a remembrance gift to the family of Deborah Lynn Barton, please visit our Tribute Store. "Email Address" would like to share the life celebration of Deborah Lynn Barton. Click on the "link" to go to share a favorite memory or leave a condolence message for the family.